Obituary for Walter Junior Carroll II | Williams Funeral Home, P.A. Walter Junior Carroll II, affectionally known as Junior and Bread, son of the late Walter Jr. Sr. and Mary E. Carroll, was born March 13, 1982 in LaPlata, MD. He departed this life on Saturday November 17, 2018 in Nanjemoy, MD. Walter received his education in Charles County, MD graduating from Lackey High School class of 2000. He was baptized at an early age at The Church of The Lord Jesus Christ of The Apostolic Faith. He worked as a concrete finisher. He was a very devoted Washington Redskins Fan. He also loved to fish and hunt. He was known for his favorite sayings: “Bean Time”, “The Champ Is Here”, “I Mopped”, “Sha- Shiez”, “It IS What It Is”, and “Lets Have It”. Walter was a loving husband and devoted father. He was friendly and well liked. He was preceded in death by his parents: Walter Jr. Sr. and Mary E. Carroll, Grandparents: Leo Sr. and Lucy Butler, and Walter Sr. and Katie Carroll. 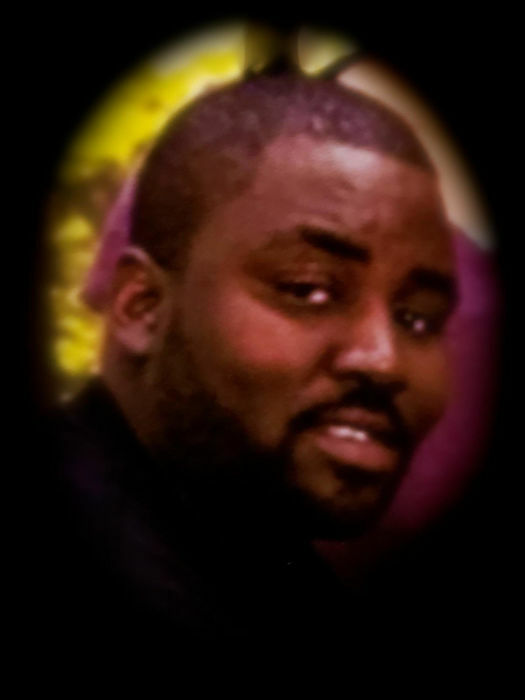 Those left to cherish his memories include: His loving wife Andrea, three children son Mekhi Bannister, daughter Malayna Bannister, and soon to be son, Walter Junior Carroll III, two brothers, Robert “Big Brother” (Gloria) and Troy Sr. (Patricia) Butler of Nanjemoy, MD. Six sisters, Sharon (Velven) Kitt of South Carolina, Stacey, Shinita, and Keyona Carroll of Nanjemoy, MD, Erica and Regina Carroll of Gaithersburg, MD. Six Uncles: Andrew (Agatha), Roger (Bonnie), and Richard Carroll, Leo Jr. (Gladys), Roland, and Walter Butler. Five Aunts: Mary and Agnes Carroll, Sarah (Melvin) Cobey, Mydric (Roger) Johnson, and Lucille Price. Father and Mother In-Law Mark and Bonnie Espina, Brother In-Law Ryan Espina, two Sister In-Laws, Amanda Espina and Allison (Neal) Estes. Eight Nephews: DeVarn Sr., Troy Jr., Tyron, Ahdaunte, Dorian, Grant, Aiden, and Charlie. Eight Nieces: Nectina, Ariana, Ylanda, Ky’Verra, Tericka, Shaneya, Janelle, and Mia. Special Parents: John Pierce and Mark and Elaine Bagley, Best Friends: Brian Pierce, Thomas Gaines Jr., William Washington, and a host of other extended family and friends. A Celebration of Life will be held on Wednesday November 28, 2018 at Oak Grove Baptist Church, 11220 Holly Springs Road Nanjemoy, MD 20662. Viewing from 9 AM until time of service at 11 AM. In lieu of flowers please consider making a donation to the gofundme account Walter “Bread” Carroll II Memorial or at any SunTrust branch via the Walter Carroll Memorial Fund.